LSU has a habit of churning out quality running backs like Bourbon Street does with potent libations. There's no question Leonard Fournette is destined for an NFL career. He'll likely follow in the footsteps of current NFL (and former LSU) running backs in Alfred Blue, Jeremy Hill, and Stevan Ridley. 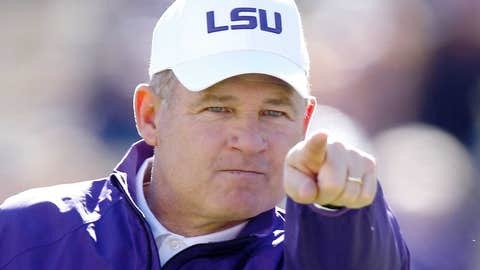 With that said, who will eventually replace Fournette at the position? If this past Saturday is any indication, Derrius Guice is ready for the opportunity. The true freshman was named as the SEC Freshman of the Week for his efforts in the 45-24 victory over South Carolina. Guice rushed for 161 yards on only 16 carries. This equates to a 10.1 yards-per-carry average. Perhaps most impressively, Guice out-rushed Fournette by three yards.